Floralie Laurel, freshly expelled from Mrs. Coffrey's School for Young Girls, works as a flower seller in an English village with her guardian brother, Tom, miles and miles away from their real home in France. Tom and Floralie are drowning in debt, but fortunately, Grandmama arrives to save them. Unfortunately, Grandmama's idea of "saving" means sending Floralie to the Adelaide Laurel Orphanage for Unfortunate Children and shaping her into a proper lady-i.e., ridding her of imagination, daydreams, paintings, and poetry. Before Grandmama can take her away, Floralie discovers a hidden box of dried flowers and a letter from her mother, who had mysteriously disappeared years ago. The letter promises that the flowers will lead Floralie to Mama if Floralie decodes them with a floriography-a dictionary of flower meanings-written by Claude Monet's gardener. 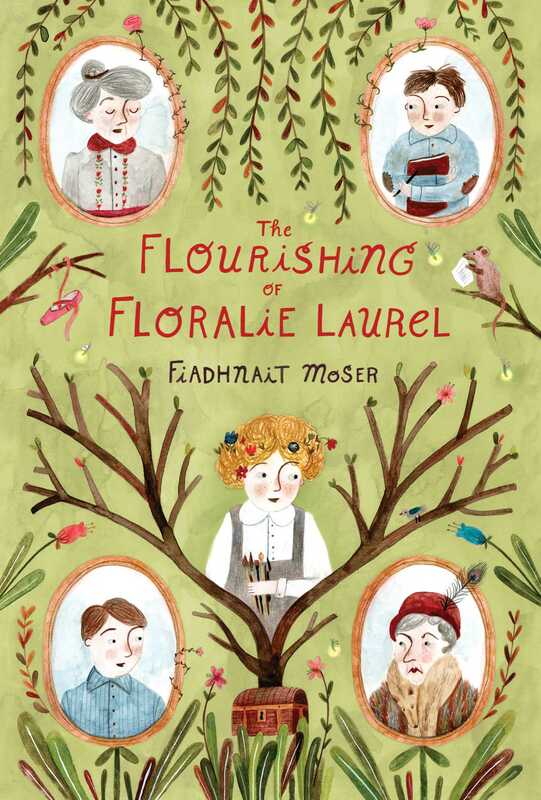 In &lt;i&gt;The Flourishing of Floralie Laurel&lt;/i&gt;, Moser places her words as carefully as Floralie's flowers, and shows how we can connect with each other, through time and distance, if we're willing to learn another's language at the risk of showing our imperfections. &lt;i&gt;The Flourishing of Floralie Laurel&lt;/i&gt; is a vividly drawn debut that will stick with you long after the final page is turned. Moser's words are her paint and the page her canvas, and the result reads like a Monet masterpiece. A beautiful bouquet of lush language, magical landscapes, and colorful characters. Moser has written a story designed to be sipped and savored like nectar.